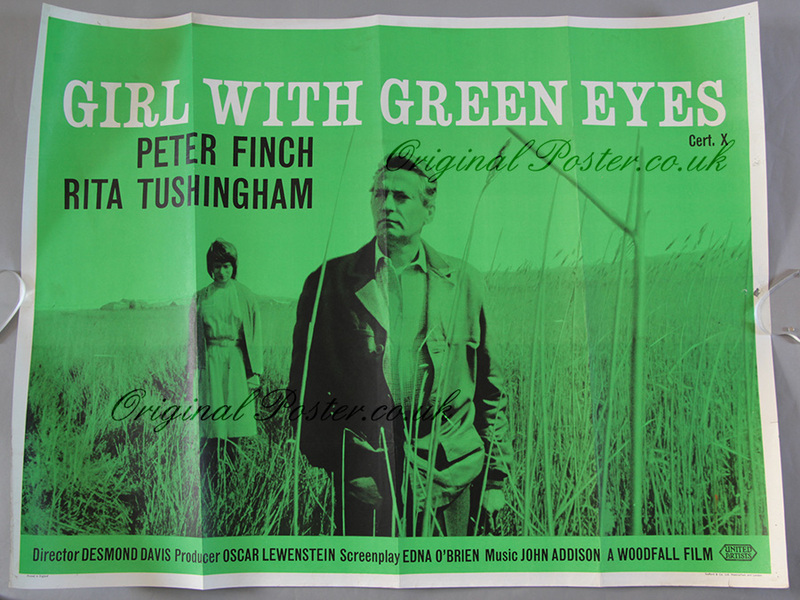 Details Original British quad film poster for the film "Girl with Green Eyes" Desmond Davis debuts as a director in this romantic film set in Dublin and starring Peter Finch the writer who falls in love with Rita Tushingham. Folded with printing by Stafford & Co of Nottingham and London. Please note the hole in the right border.